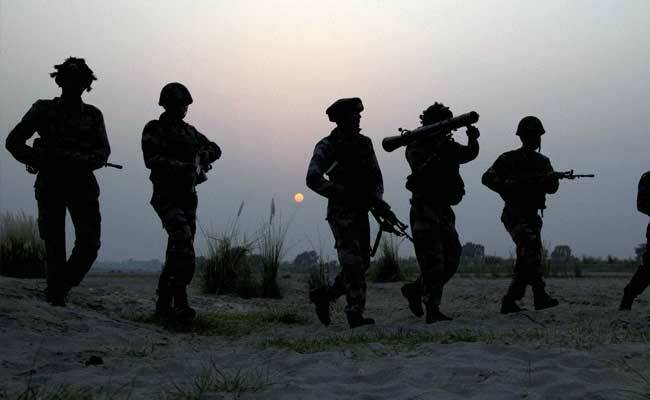 The Army Major speaks about the stunning mission in a new book being brought out on the first anniversary of the surgical strikes in Pakistan-occupied Kashmir (PoK). The surgical strikes across the Line of Control or LoC were precise and conducted at frenetic pace but the Major, who led the daredevil mission, says that the return was the most difficult part and bullets fired by the enemy soldiers were so close that they were whistling past the ears. The officer is referred to as Major Mike Tango in the book, titled "India's Most Fearless: True Stories of Modern Military Heroes". The Army had decided to use soldiers from the units that had suffered losses in the Uri attack for the elaborate revenge mission. 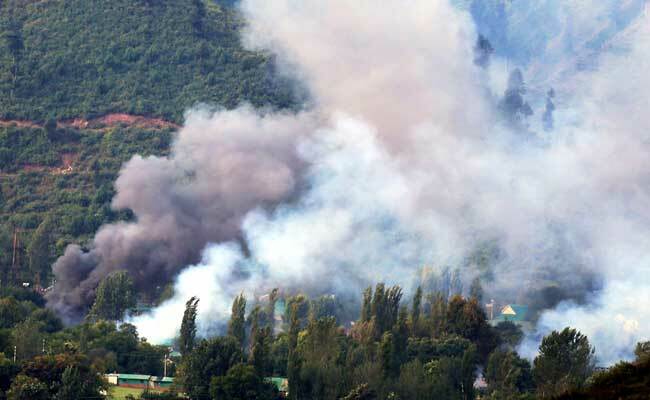 Army used soldiers from units that had suffered losses in Uri attack for an elaborate revenge mission. 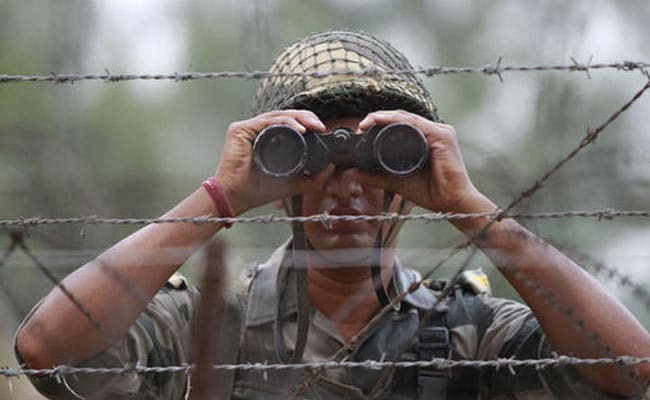 A Ghatak platoon was formed and soldiers from the two units that had lost men were roped in to man border posts and provide crucial terrain intelligence and support to the mission that lay ahead. "Tactically, this was a smart move - few knew the lay of the frontier land better than they did. But there was another astute reason....Involving them in the mission would at least begin to lay the ghosts of Uri to rest," the book states. About the details of the planning, it states, "The target list was scrutinised along a top-secret chain of command that numbered barely a handful of people, with 'need to know' rules applicable throughout." "The options were vetted by designated officers from the Intelligence Bureau and the Research and Analysis Wing, before a final recommended brief was presented to the government." Soldiers from units that had lost men were roped in to provide crucial terrain intelligence. Major Tango was entrusted with the job of leading the operation to carry out the strikes. "As team Leader, Maj. Tango had chosen every man himself, including the officers and men who would play a supporting role. He was also acutely aware of the fact that the lives of 19 men were, quite literally, in his hands," the book says. Though Major Tango chose the best men for the job, one thing was bothering him - the de-induction or the return. "That's where I knew I could lose guys," the book quotes him as recalling. "Even the actual attack was not something that flustered the commandos. It was the return, an uphill trek to the Line of Control that was the truly the daunting part." "Their backs would be facing a blaze of fire from Pakistan Army posts, belatedly roused from their slumber. And the dominant position held by the posts would make the escaping warriors easy targets to spot and kill," the book reveals. A total of four terror launch pads operated by Pakistan's Inter-Services Intelligence (ISI) and protected by the Pakistan Army were selected. "Through a series of masked communications over mobile, Major Tango's men contacted four 'assets' - two local villagers in PoK and two Pakistani nationals operating in the area - both moles in the dreaded Jaish-e-Mohammed terror group, men who had been turned by Indian agencies a few years before." "All the four assets separately confirmed the target information that was placed before them. In terms of intelligence, there was nothing further for the team to do on this side of the LoC," the book states. The book, written by Shiv Aroor and Rahul Singh and published by Penguin India, tells 14 true stories of extraordinary courage and fearlessness, providing a glimpse into the kind of heroism India's soldiers display in unthinkably hostile conditions and under grave provocation. The mission was brief - the soldiers were expected to reach their targets, study the latest intelligence they could possibly access with their satellite devices and then proceed to wipe out every man they saw there, the book says. The weapons and equipment were then finalised. "Maj. Tango would be armed with his M4A1 5.56-mm carbine, the rest of the assault team with a mix of M4A1s and standard-issue Israeli Tavor TAR-21 assault rifles, Instalaza C90 disposable grenade launchers and Galil sniper rifles. Batteries on night-vision equipment were checked and other devices were charged too," the book states. Two of the terror launch pads identified as targets for Maj. Tango's team were well inside PoK and roughly 500 metres away from each other, it says. "Each launch pad is really a transit staging area for terrorist infiltrators before they are sent across the LoC. Both launch pads were close to Pakistan Army posts for logistical and administrative purposes. ISI handlers would often visit these launch pads before infiltration attempts," the book reveals. "From the moment the firefight began until the last bullet was fired, it had been just over an hour. The frenetic pace of the assault meant the teams, now united after the split attack on two launch pads, would prepare to leave with only a very rough estimate of the number of terrorists they had managed to kill: 20. The figure would be corroborated days later by India's external intelligence." "A total of 38-40 terrorists and two Pakistan Army personnel were killed at the four targets. The three separate teams had simultaneously struck 4 launch pads across the LoC. Their entry into PoK had been coordinated and precisely timed," it says. As for the return, the major decided to take not the route used to enter PoK but a different path that was longer and more circuitous, but comparatively safe. But while the Indian soldiers were returning, the Pakistan Army posts opened fire with everything they had - enraged by the cross-border strikes. "At one point, the bullets were so close, they were whistling past our ears. There's a familiar put-put sound when rounds fly very close to your head," Major Tango recalls. "If I were a foot taller, I would have been hit many times over." During the circuitous escape, the men were frequently flat on the ground as trees in their path were shredded to bits by hails of ammunition, the book says. "A particularly vulnerable 60-metre patch in the de-induction route gave the commandos their closest call. Still flat on their bellies, but with no natural feature hiding them, they needed to slither the full distance without being hit. Crossing in pairs as ammunition hit the ground inches from them, Major Tango's team made it to the LoC before the sun was up, finally crossing it at 0430 hours."